Sink or Swim? They Chose To Sink! Submerge yourself in the rich underwater and diving history of Panama City at the Man in the Sea Museum. During the beginning of underwater exploration, the vastness of the Earth’s oceans was just as much of a mystery as outer space. This mystery sparked an insatiable desire to go below the surface of the oceans and explore. Panama City has a unique and intimate relationship with both military and recreational diving. When you pull up to the Man in the Sea Museum, you won’t be able to miss the giant, international orange SEALAB I underwater habitat. Is it a submarine? Well, not exactly. In the 1960’s, finding out how long humans could stay submerged at the bottom of the ocean was as interesting as learning how they could survive prolonged periods in space. Thus, the SEALAB project was born. 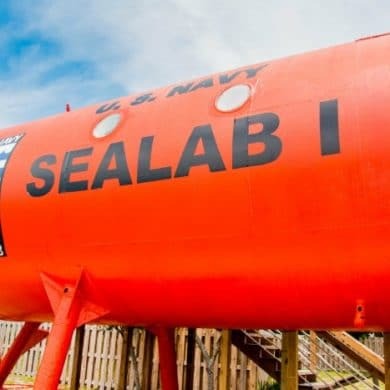 The SEALAB I was the US’s first underwater habitat. SEALAB I’s mission was cut short after 11 days due to an approaching hurricane. The underwater capsule stands tall at the Man in the Sea Museum today as a reminder of past deep sea endeavors — a link between Panama City and its offshore history. Robert Barth, a Panama City Local and SEALAB I aquanaut, believes that the Man in the Sea Museum is necessary to inform locals and visitors about Panama City’s history. The museum is also home to lots of diving and underwater exploration artifacts. From some of the earliest military diving and salvage equipment to modern day commercial apparatuses, you can get up close and personal with it all at the Man in the Sea Museum. Jamie Cano, the museum assistant at Man in the Sea Museum, is confident that guests will have an experience unlike anywhere else. Since the Man in the Sea Museum is a 501(c)(3), nonprofit, the museum is kept open by admissions, donations and people like you. Stop by and help keep this porthole to America’s underwater past open for years to come. The Man in the Sea Museum is located at 17314 Panama City Beach Parkway in Panama City Beach FL. 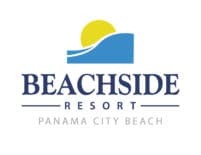 For more information, visit the website or call (850) 235-4101.